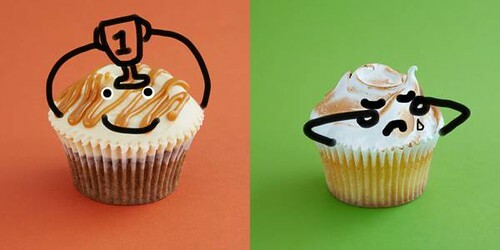 London's The Hummingbird Bakery has found a fun way to promote their special monthly flavors! The top photo is of June's jam doughnut vs. strawberry milkshake duking it out. 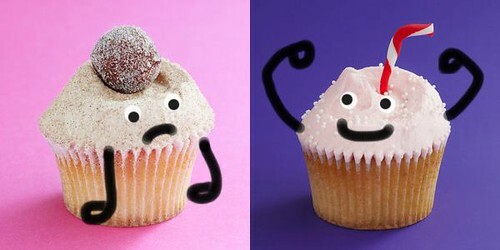 The bottom one is last month's victorious sticky toffee pudding, while the lemon meringue cupcake lost out. 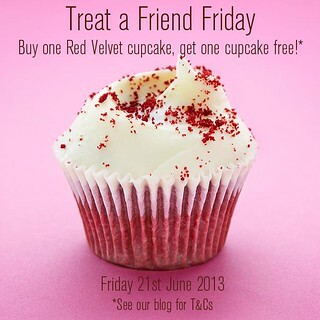 All photos via their Facebook page, where you can keep up with their specials like the buy one get one free red velvet sale on Fridays, if you share the promotion on Facebook or Twitter (details here). For more information, visit hummingbirdbakery.com.